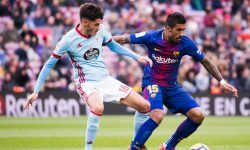 This Friday night sees Barcelona battle with Athletic Bilbao for this season’s Copa del Rey in a contest guaranteed to entertain. 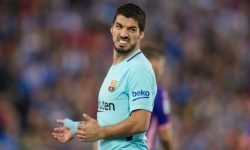 For Barca the King’s Cup has taken on added importance as the Catalan side have relinquished their hold on both La Liga and the Champions League this season. There is also the little matter of it being Pep Guardiola’s last match as manager. For Athletic, tonight’s match represents their last attempt to win a trophy few would deny them. After a season of highly entertaining football which saw them become many people’s second team, all they have to show for it so far is a runners-up medal in the Europa League and a tenth place league finish. Messi has already netted last in both league meetings with Athletic this season, as well as on 17 other occasions this campaign. As ever it’s Lionel Messi who dominates the goalscoring betting. The Argentinean maestro has netted 72 goals in a record-breaking season, including an incredible nine hat tricks. Two of those trebles have been scored this month, and Messi is priced at 4/1 with bwin to make it a hat trick of May hat tricks against Athletic. This feat is worth £125 to any new customers who wager their free £25 bet for registering win bwin. However, the price of 7/4 for Messi to score last might be more advisable. He has already netted last in both league meetings with Athletic this season, as well as on 17 other occasions this campaign. If Messi’s price is too short to be tempting, then why not have a punt on Xavi to score first at 9/1? 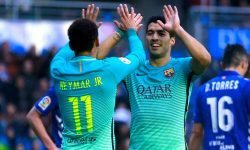 Although the Barca lynchpin is normally better known for his metronomic passing, 2011/12 has been his best season for goals with 14 so far. As for Athletic, it is of course all about Fernando Llorente. This could well be the Spanish international striker’s last outing for the Basque side, and he is priced at 11/2 to net first or last or 13/10 to net anytime and add to his haul of 29 goals this season. Llorente, who has already struck five times in this year’s competition, will be hoping he gets a call to join Spain’s Euro 2012 squad after the final, as will club teammates Iker Muniain and Javi Martinez. Muniain has particularly impressed in Athletic’s Europa League run, even being dubbed “the Spanish Messi” in some quarters, and the pint-sized attacker could prove a good value longshot to open the scoring at 15/2. New customers can register here to claim their free £25 bet or click here to see all our latest La Liga odds.